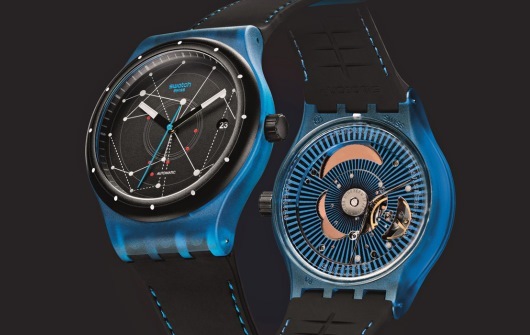 Will Swatch Sistem51 Revolutionize the Watch Industry or Be Rejected by It? Is the watch world ready for a super accurate, maintenance free, “Swiss made” mechanical timepiece that is mass-produced with only 51 parts? 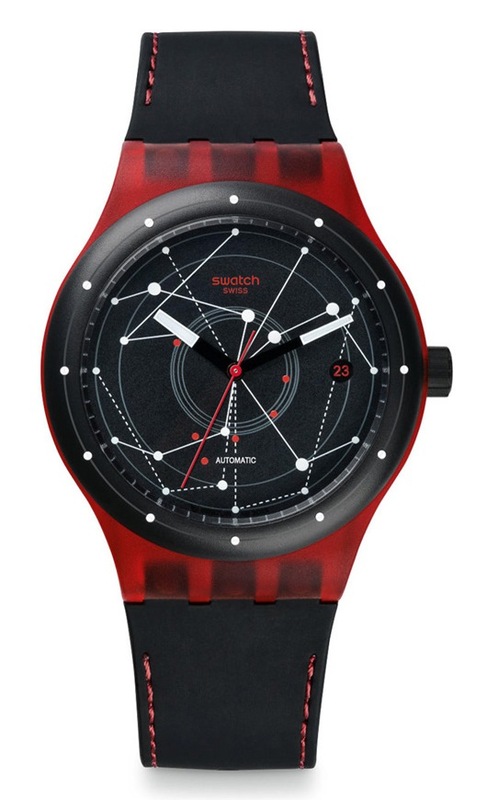 Thirty years ago Swatch revolutionized the watch industry with the introduction of the world’s first line of stylish, inexpensive quartz watches. Now, many say they’ve turned the world upside down again with the introduction of the world’s first high quality, all-mechanical movement assembled entirely by machine. 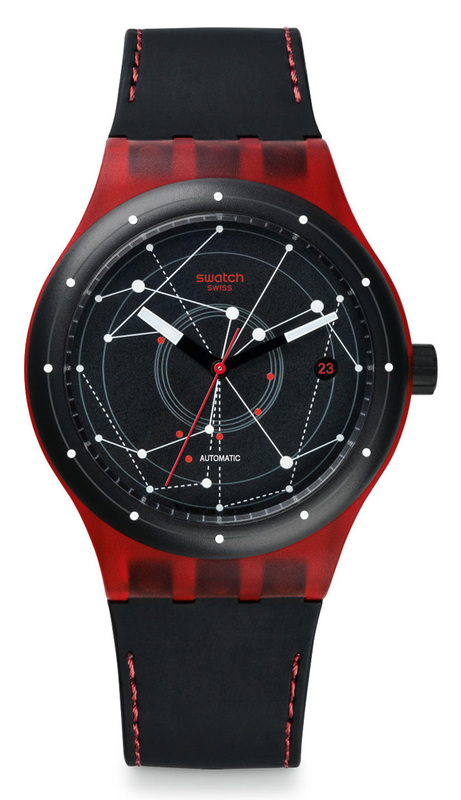 The innovative Swatch Sistem51 is unlike any mechanical watch ever made. There are only 51 components, compared to over 600 in most modern mechanical watches. The assembly of this watch has been 100% automated, using high-tech robots to weld together the individual components to create a single assembly centered on one screw. This unique timepiece has no regulator and is adjusted for life at the factory using a laser. The all-mechanical movement features a 90-hour power reserve and is hermetically sealed so that no moisture, dust or foreign objects can enter the watch or interfere with its operation. The watch is 100% Swiss made, is self-lubricating, and is accurate to 5 seconds a day. Typically a Swiss made mechanical watch with these specifications will cost thousands of dollars, but the Sistem51 is expected to retail for less than $100. This mass-produced mechanical marvel is made using a special alloy of copper, nickel and zinc. It is non-magnetic, so the movement will never need adjusting. Since all the components are attached using a single screw, there is very little wear and tear. The big question now is whether there is a market for such a watch. Although extremely reliable and accurate, it has none of the snob appeal of its pricy handmade Swiss cousins. The Sistem51 is more expensive than equivalent Swatch quartz watches, yet offers far fewer features than the latest generation of “smart watches” that are starting to hit the market. What the Swatch Sistem51 does offer is a super accurate, extremely reliable, all mechanical Swiss made movement in an inexpensive plastic case. Like any Swatch design, the Sistem51 can be easily customized with an unlimited number of color variations and face designs. Although the innovative watch has received wide praise for it’s technological innovations, it remains to be seen whether it will be commercially viable. Does the market really want an inexpensive all-mechanical watch, or will people continue to prefer the exclusivity of handmade mechanical timepieces costing thousands more? 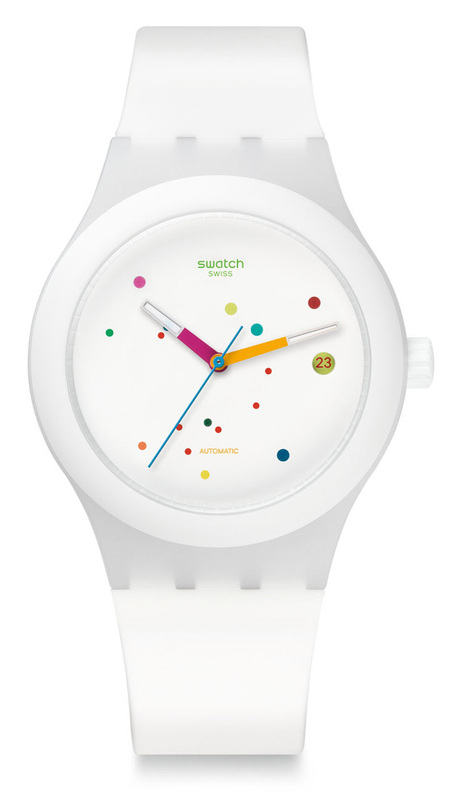 Since the technology itself is revolutionary, it would not be surprising to see Swatch incorporate the new movement in some of its own high-end brands. Will there eventually be an Omega, Breguet, or Blancpain watch with a Sistem51 movement? Only time will tell. The Japanese and Chinese already offer a wide variety of affordable mechanical timepieces. Currently however, when a watch says Swiss made on the dial, it is usually quite expensive. The breakthrough Sistem51 design might change all that. If the Sistem51 design turns out to be as reliable as has been initially claimed, it could even cut into the sale of quartz watches. 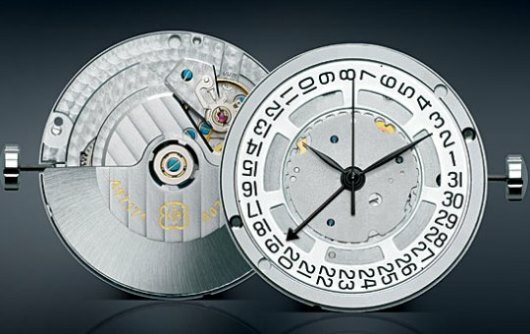 Why would people want to keep changing batteries when they could get a high quality self-winding mechanical watch for the same price? Although the Swatch Sistem51 was introduced over a year ago at Baselworld 2013, it has only recently become available in retail markets. As people begin to discover this revolutionary new design, it could have a major impact on the entire watch industry. Nobody denies that this watch is a breakthrough. The only uncertainty at this point is whether it will be a commercial success. decrease the availability of ETA movements in 2014? 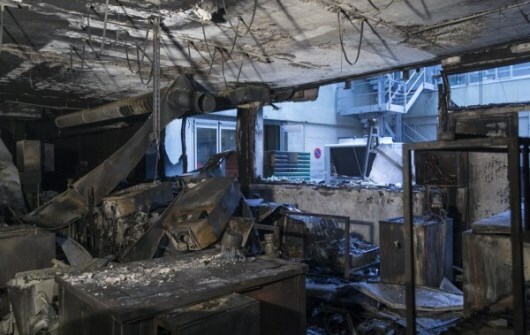 When a fire broke out on Sunday, December 29 and totally destroyed the Galvanic Department at Swatch Group’s ETA factory in Grenchen, Switzerland, the first question on everybody’s mind was whether anybody was hurt. The second question was whether the unexpected fire would result in a decrease in the availability of ETA movements, along with price increases in the year ahead. 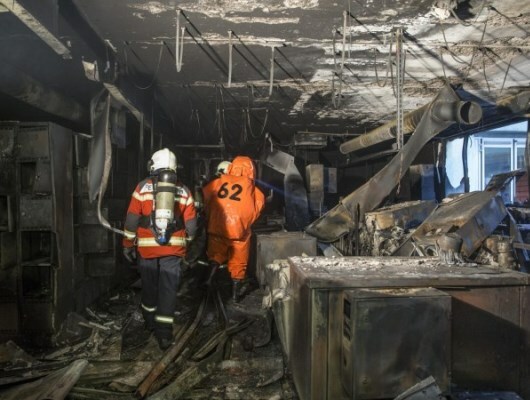 Luckily, since the fire started at 9 AM on a Sunday morning, the Galvanic Department workshops were unoccupied at the time and nobody was hurt. The jury is still out however on whether the devastating fire will have a lasting impact on the production of the popular ETA watch movements. A trend towards consolidation in the Swiss watch industry in recent years has meant that many manufacturers have stopped building their own movements and rely on components made by the Swatch Group’s ETA division instead. 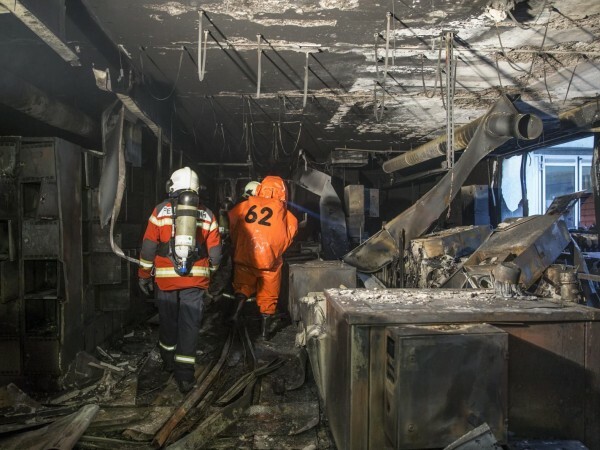 Since galvanic plating is an essential part of the manufacturing process for many popular movements, the Grenchen fire could have an enormous impact on the manufacture of Swiss watches. Not only does ETA supply the movements for Swatch watch brands like Longines, Omega, Tissot, and Breguet, it also supplies essential component parts for many other manufacturers as well. 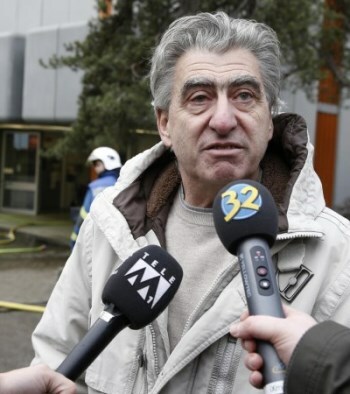 Since the Swatch Group has already decided to cut back and eventually end the sale of component parts like hairsprings, balance wheels, anchors and anchor wheels to their competitors, any further reductions due to the fire could be devastating. Weko, the Swiss competition authority, has already agreed to let the Swatch Group continue it’s gradual reduction in the delivery of finished movements, beginning with another 10 percent reduction in finished movement deliveries in 2014. This decreasing availability of parts has already had an impact on some manufactures who are still looking for other sourcing alternatives. 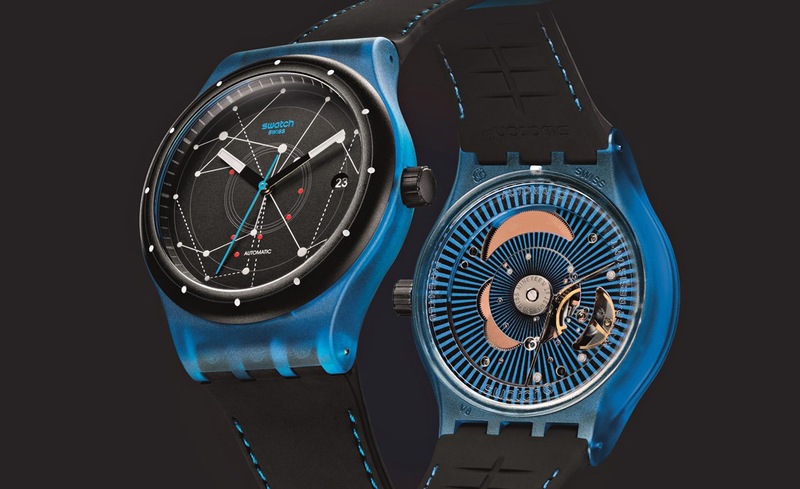 Skeptics and industry pundits are already speculating about whether the Grenchen fire will give Swatch the excuse it has been looking for to accelerate its plans to end the sale of component parts to competing watchmakers. 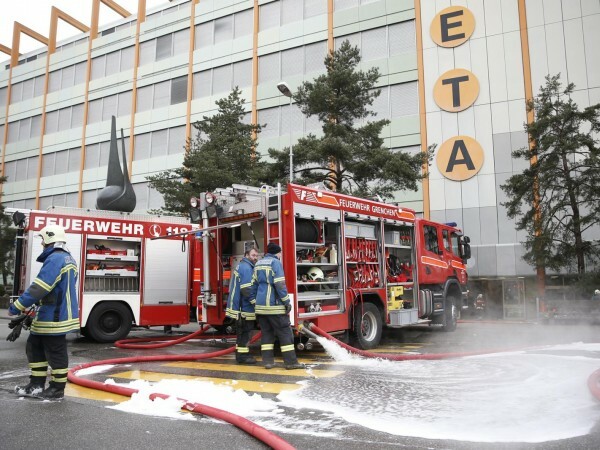 If the Grenchen fire does have a lasting impact on ETA’s manufacturing capabilities, a further reduction in component sales to competitors might be inevitable. If, in the near term, ETA is only able to manufacture enough movements for its own use, other manufacturers who depend on ETA components are sure to suffer. This loss for Swatch Group comes right on the heels of the company’s victory in its lawsuit against Tiffany, which now must pay Swatch Group $450M in damages. Nobody really knows what will happen yet, but this devastating holiday fire has implications for the entire watch industry. 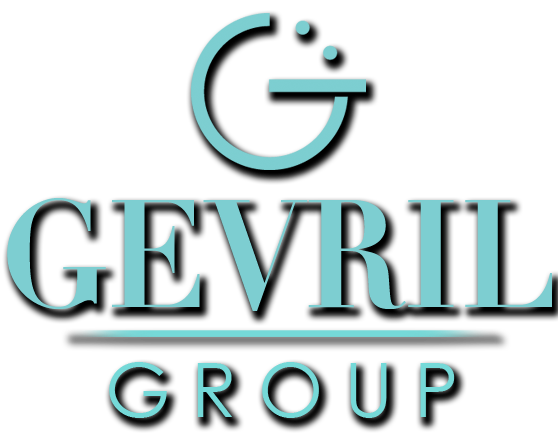 partnership into one of the watch industry’s most bitter disputes. When the powerful Swatch Group and luxury retailer Tiffany and Company agreed to join forces to produce Tiffany and Company branded timepieces in 2007, almost everybody thought that the relationship was a win-win situation for both parties. The Swatch Group was the world’s largest watch manufacturer, bringing us many of the most widely recognized high-end brands like Breguet, Blancpain, Harry Winston, Glashütte Original, Omega, Longines, and Rado. Tiffany and Company was one of the world’s most prestigious jewelry manufacturers and retailers. Together, it was expected that these two industry giants could dominate the all-important “jewelry watch” segment of the industry. What actually happened was a surprise to everyone. When the Swatch Group debuted it’s first Tiffany and Company watch collection at Baselworld in 2009, Tiffany insiders were extremely disappointed. They felt that the collection wasn’t up to Tiffany’s high standards and were reluctant to sell the watches in their stores. Obviously, the Swatch Group didn’t agree. As the world’s leading watch manufacturer, they felt the new collection was exactly what Tiffany and Company needed to succeed. 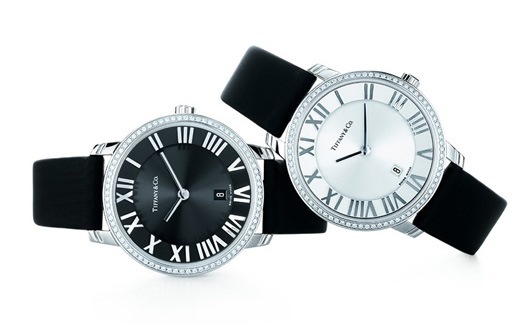 As the strategic alliance between Tiffany & Company and the Swatch Group began to deteriorate, it became apparent that Swatch did not want Tiffany watches to directly compete with its existing luxury watch brands. By designing Tiffany & Company branded timepieces to fit in a distinct market segment that was somewhere in between ultra luxury brands like Harry Winston and Breguet and mainstream high-end brands like Omega and Longines, Swatch believed it was maximizing selling opportunities without cannibalizing any of their existing brands. Tiffany and Company simply felt that the Swatch designed watches were not as elegant and classy as they should have been and refused to promote them. Relations between the two companies went downhill from there when the Swatch Group filed suit against Tiffany and Company and Tiffany counter-sued. Each party claimed a range of contractual breaches that stemmed from Tiffany and Company’s allegations that Swatch had provided than with an inferior product and Swatch’s claim that by refusing to promote the watches, Tiffany had made it impossible for the Swatch Group to sell them. After years of legal battles and binding arbitration, the powerful Swatch Group prevailed, winning an unprecedented $450 million dollar judgment against Tiffany and Company for breach of contract. 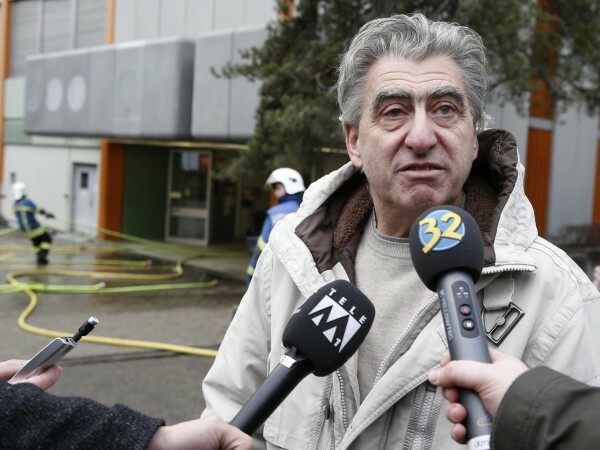 This was only a small fraction of the 3.8 billion in Swiss Francs that the Swatch Group initially wanted in damages. The counter-suit filed by Tiffany and Company went nowhere and was eventually completely dismissed by the arbitration court in the Netherlands. Even though the record $450 million dollar judgment was more money than Tiffany made during the entire prior year, the company will survive. Tiffany learned an expensive but very valuable lesson during this experience. If they want to make watches that live up to their own high standards, they’d better do it themselves. The Swatch Group apparently learned its own lessons as well. The company never abandoned its desire to become a major player in the jewelry watch segment and when the opportunity arose, it simply bought Tiffany competitor Harry Winston outright instead of attempting another partnership. Now that this monumental dispute is finally over, there is a lesson that companies in every industry need to learn: when powerful companies join forces, there is always a danger in having shared decision-making power. Posted in: Industry News | Tags: luxury industry, luxury watch brands, Swatch Group, Swiss Watch Industry, Tiffany & Co.